We recently had a customer experience a very odd bug which only seems to be occurring on some Mac Snow Leopard configurations. This bug has nothing to do with our products, as it is an Encore bug effecting even those who don’t use our templates, but we thought we should mention it here in case any of our customers encounter it. We have also discovered a solution to the bug. We just completed a lengthy bug-fix marathon on all our Pro Motion Menu Kits. We’ve added some features to all of our kits that we implemented from the beginning with our most recent “Regal Cinema” kit. The tedious changes took hours to implement on each kit, but should be helpful. So now, just like our Regal Cinema template, you will be able to integrate the chapter titles for the scene selection menu, as well as place images or video into the scene selection boxes of the After Effects project. 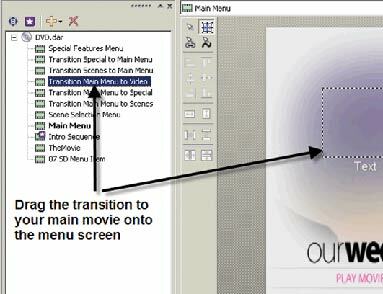 This is useful if you do not need multiple scene selection menus, and want the scene selection boxes to have video or images in them during the transitions. The titles for these boxes will also animate on during the transition. Again, this should only be used if you are using a single scene selection menu. Please make sure you have the most updated versions of your Pro Motion Menu Kits, and do not use any files from the old kits after upgrading, as even the dynamic link project files have been updated. You can check your version by looking in the Version History text document provided with your kit. To update your kit, please send an email to support@precomposed.com along with your Order ID, and we will reactivate your unique download link.